With all the iPad magic I’m showing you on this site, you might be thinking the iPhone is starting to feel left out. Never fear — there’s plenty of iPhone trickery to go around, too. Even though I’m known as the iPad Magician, iPhone magic is a growing part of my repertoire as well. You might want to try your hand at some iPhone magic, too. Turns out there’s an app for that — and it’s absolutely free. My Magic Wipe! 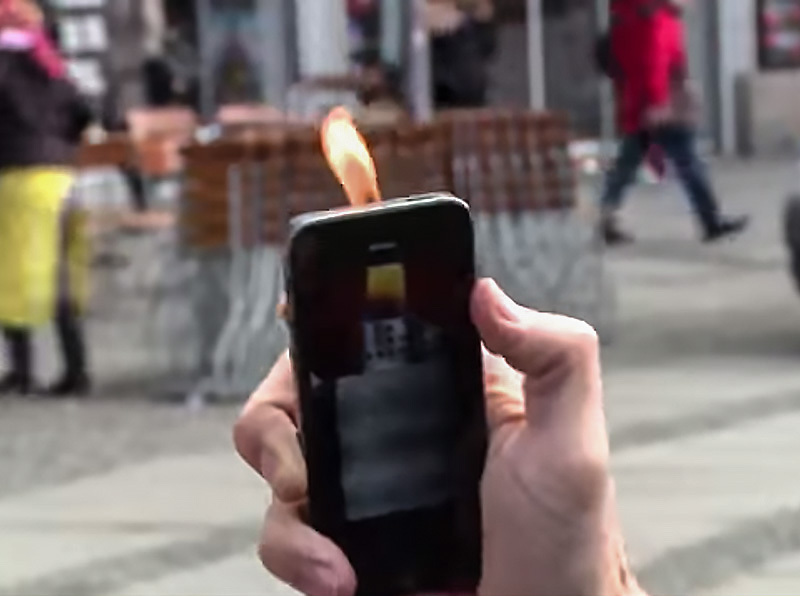 iPhone app lets you trick your friends with your own iPhone magic tricks. “I’ve tricked so many people with this app!” said one App Store reviewer. Now it’s your turn to trick a few unsuspecting onlookers. Try the app for yourself — download Magic Wipe! free from the App Store. Please teach me. I want to learn how magic iPad and iPhone. Hi Simon i think you are a great person and magician. I would like to know where i can buy others app for ipad you have because i find it very nice tricks and i m magician too in France. i hope to receive a mail or answer from you. You, Simon, are truly a genius. existing people do not have. God blessed you, so use it for the betterment of humanity.